Tea and spices are a range of products that are usually imported from tropical regions and shipped in bales. Because of this, they can contain bacteria, fungi, insects, and pests if not properly cared for. Before further processing can commence, those unwanted elements need to be destroyed beforehand. This is done by extracting the air out of those bales via vacuum containers, and then injecting sterilized gas or steam. At Airtech Vacuum Incorporated, we carry the latest vacuum pumps that are suited for tea and spice sterilization units. Tea and spices bring a world of colors, aromas, and flavors to food and drinks. Spices and raw tea leaves are usually harvested in the rural reaches of places such as Indonesia, China, India, and more. After these raw ingredients have been harvested, they are brought out to ferment under the sun. They will dry up in the open air before being transported to be grinded and roasted. The latter are necessary steps to help operators attain the appropriate aromas and flavors for their products. Today, refrigerated trucks and open barges are some of the options of transporting tea and spice products to prospective brokers. Unfortunately, the journey can be a long one. The products may become contaminated with an array of molds and bacteria. Bacterial contamination may be a result of rodent droppings, birds, insects, soil, or coming into contact with dirty water during processing. Fungal growth is also known to occur during or before drying, as well as during shipping or storage. In any event, the consequences can be significantly negative. In tea and spices sterilization processes, microwave sterilization is a popular method because it allows individuals to minimize appearance and flavor change in heat sensitive products. Tea and spices subjected to traditional thermal treatments usually results in unexpected changes. Why Choose Airtech Vacuum Incorporated for Sterilization of Tea and Spices? Airtech Vacuum Incorporated continually strives to improve the vacuum pump technologies that help sterilize tea and spices. 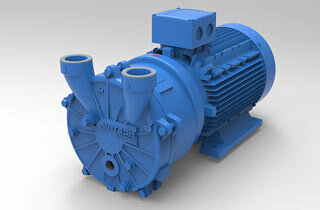 Since our inception in 1982, we have been providing cost-effective solutions for vacuum systems. Apart from offering a great array of ready to ship products, we also cater to our clients’ custom engineering and design needs. This is possible because of our clear understanding that every industry and application is different and poses its own array of challenges. When you work with Airtech, you can enjoy complete peace of mind knowing that we are UL-, CE-, RoHS-, and CSA-certified. You can be sure that we also meet ISO9001-2008 requirements. The products that we design and manufacture are of the highest quality. They are built to offer superior and reliable performance for many production cycles. We aim to help maximize uptime for your tea and spices sterilization units. Airtech does not just develop a customer-merchant relationship with our valued clients. You will be able to approach our friendly customer service representatives at any step of your purchase process. Start browsing through our inventory today and source for stellar quality vacuum pumps for sterilization of tea and spices with ease!